Different truck brands often use different terminology to describe the styles of truck cabs that exist, and dealers often like for prospective trucks owners to be informed about these all of these differences. Read on to make sense of the seemingly complicated terminology. 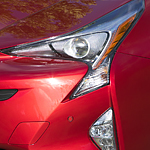 As one of the most popular compact hybrids ever made, the Toyota Prius leads the market with continual innovation to its engine and body design. Enjoy increased gas mileage and road performance in a car that boasts plenty of outward style. Are you interested in making the most of your money by making the most of any fuel that you put into your vehicle? If so, there are ways that you can do that. 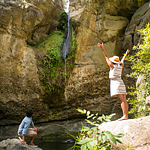 One thing that you should consider doing is investing in a fuel-efficient Toyota vehicle. You can save on the fuel that your vehicle burns by carefully planning out your trips. Think ahead to the errands that you have to run and figure out the most efficient way to go about those errands. Combine as many errands into one trip as you possibly can. 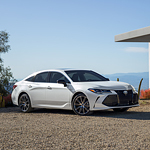 The Toyota Corolla has become one of the top compact sedans on the market due to its affordability, reliability, and safety. While it’s not one of the largest sedans, the latest model is bigger than the base model in 2018, and there’s an all new trim to look out for. The Corolla Hatchback XSE and XSE CVT are incredible to see on the roads, thanks to their superior styling and handling. Whether you are in the hatchback coupe or the four-door sedan, you’re getting a lot more with the Corolla than in previous years. Whoever said that subcompact cars don't offer convenience features clearly hasn't seen the new Yaris. This popular car from Toyota is available with high-tech side mirrors that can enhance your daily commute through Thorndale. 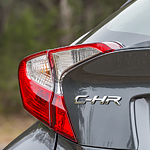 The new Toyota C-HR is now available at Del Toyota Inc. and we couldn't be more excited to pass along some information on the safety features that make this the popular subcompact SUV of the year. The Toyota C-HR utilizes the Blind Spot Information System for helping a driver to identify when it is safe to change lanes. If another vehicle is in a blind spot behind you, the side mirrors on your car start flashing so you know there is something behind you and which lane they are traveling so you can hold your position. Subcompact cars are becoming increasingly popular among working professionals who have a longer than average commute back and forth to work. They are not only fuel efficient but also include some of the top technology features in the world. 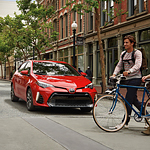 That is why we here at Del Toyota Inc. of Thorndale are so excited to announce the arrival of the all-new 2019 Toyota Yaris. 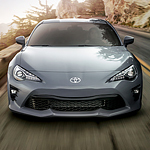 The 2019 Toyota 86 has a ton of user-friendly features, but it’s the blend of performance and interior features that named it one of the top sports cars. The interior looks stylish with high-quality materials and lots of storage features. 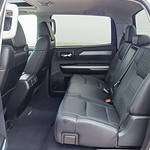 The front seats are pretty supportive, and you can even add on premium packages for leather and heated seating. The Toyota 86 is packaged with technology. 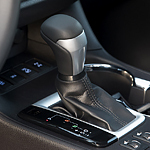 Whether you want to connect using Bluetooth, or you can connect through USB ports, the Toyota was made to connect with a variety of different phone formats. The Toyota Highlander has long been a favorite in its class, and for good reason. This is an SUV that can do it all while looking great. Whether you're moving things or people, you'll look great doing it in the 2018 Highlander. This car has a sleek, aerodynamic exterior. 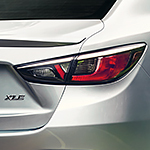 The rounded hood and large grille make for an aerodynamic vehicle. This is a great help when it comes to fuel efficiency. The Highlander gets great gas mileage for an SUV of any size, at 27 mpg on the highway.